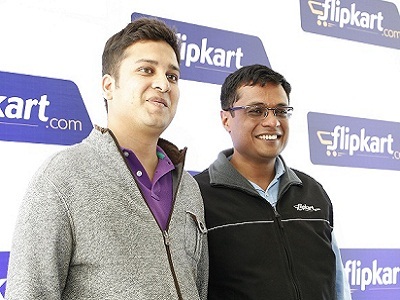 Flipkart is also scouting for acquisitions, which can help it expand into newer technologies. BANGALORE: India's largest e-Commerce firm Flipkart today said it has raised USD 1 billion (over Rs 6,000 crore) in fresh funding from a group of investors, the largest so far in the fiercely competitive online shopping segment in the country. The company did not disclose its new holding pattern. The sources said, however, that with this round of fund raising, Flipkart is valued at about USD 7 billion (around Rs 42,000 crore). Co-led by existing investors Tiger Global Management and Naspers, Singapore's sovereign wealth fund, GIC, Accel Partners, DST Global, ICONIQ Capital, Morgan Stanley Investment Management and Sofina also participated in this latest financing round. The Bangalore-based firm will utilise funds on expanding its online and mobile services, focusing on areas like R&D, enhancing customer experience and sellerbase. Flush with cash, Flipkart is also scouting for acquisitions, which can help it expand into newer technologies like wearables and robotics, a move that it believes will impact mobile commerce in the days to come. "The funds will be used to make long-term strategic investments in India, especially in mobile technology," Flipkart co-founder and CEO Sachin Bansal told reporters here. The focus at Flipkart is to continue to make shopping online simpler and more accessible through the use of technology, he added. "This funding will enable us to step up our investments for innovations in products and technologies, setting us up to become the mobile e-commerce company of the future. This funding will help us further accelerate momentum and build our presence to become a technology powerhouse," he said. On the company's IPO plans, Bansal said: "IPO is not in consideration at all, we are not thinking about it. We have not settled on a business model that we can take public." In May, Flipkart had raised USD 210 million funding, bringing private equity firm DST Global on board as an investor.It is estimated that the firm has, so far, raised over USD 1.7 billion from investors, including the current transaction. The Bangalore-based firm, founded by Sachin Bansal and Binny Bansal, counts Accel Partners, Dragoneer Investment Group, Morgan Stanley Investment Management, Sofina and Vulcan Capital among its other investors. The home-grown e-retailer had acquired online fashion retailer Myntra in May in what is estimated to be a Rs 2,000-crore deal. It had also announced an investment of USD 100 million (around Rs 600 crore) in its fashion business over the next 12-18 months.